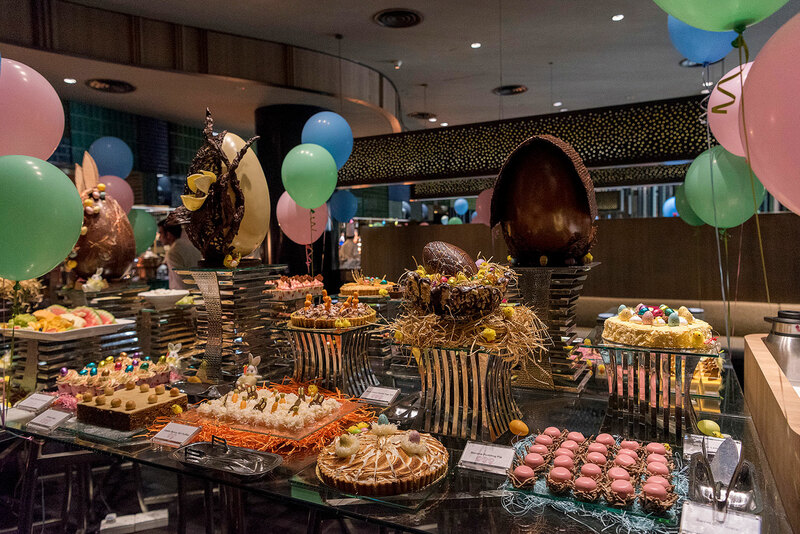 Spend the Sunday afternoon with your loved ones and indulge in a hearty Easter themed Brunch at Azur, which serves up a scrumptious selection of Easter favourites and international cuisines. 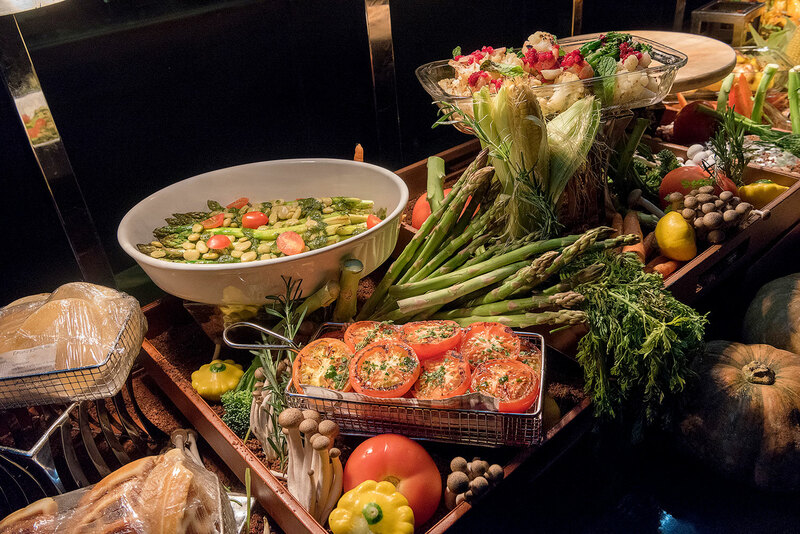 Highlights of the buffet include Beef Wellington, Eggs Benedict, Seafood Paella, Shakshuka, and Eggs Station where you can get our chefs to make you your preferred egg dishes! Head over to the carving station for some juicy and tender roasts including Slow Cooked Beef Ribs with house-made BBQ Sauce and Stuffed Leg of Lamb. You can also put together a Healthy Bowl at our “Do-It-Yourself Healthy Bowl” station with ingredients such as Teriyaki Chicken, Salmon, Roasted Beef and a great selection of seasonal greens. Other local delicacies such as Drunken Prawn in Herbal Soup, freshly prepared by our chef and Glass Noodles with Crab. Seafood lovers can dive into bountiful seafood on ice such as Black Mussels, Clams, Half Shell Scallops, Jellyfish and Baby Octopus. 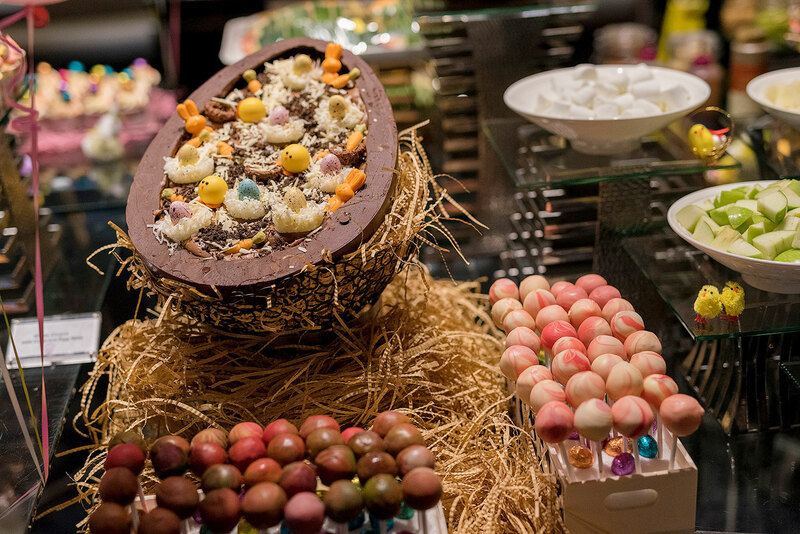 And not forgetting to complete the meal with the delightful sweet treats on our dessert bar, including Classic Easter Carrot Cake, Hot Cross Buns, Warm Chocolate Pudding, Cake Pops, Ice Cream and more! 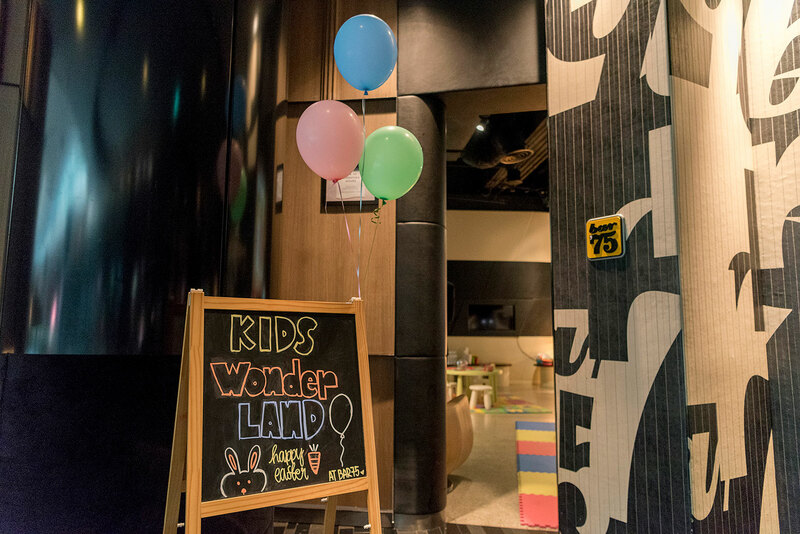 What’s more, the little ones can have a great time at the Kids Funland at Bar ’75, which is located just opposite Azur. Kids can enjoy their favourite snacks from our mini buffet including mini burgers, assorted sandwiches, potato wedges, cake pops and more! Parents can also put on their creative hats and bond with the little ones by partaking in the Egg Painting session and Egg Hunt. The adorable Easter Bunny will be present to spread holiday cheer. 20% early bird discount with full prepayment (Offer is valid till 15 April 2019). Gourmet Collection members enjoy 25% discount. Terms and conditions apply. For reservations, please call +65-6823-5354 or email azur.cpca@ihg.com.